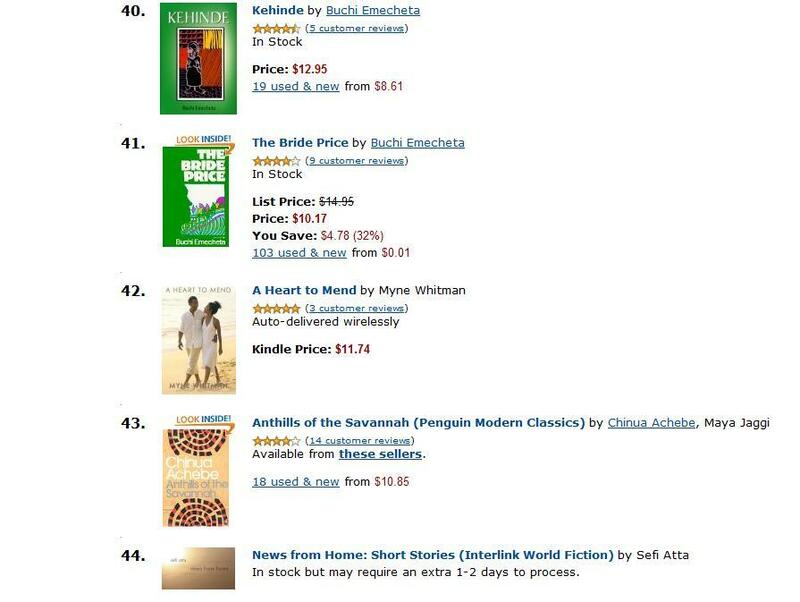 A Heart to Mend is currently number 42 on the Amazon Kindle listings for books out of West Africa. 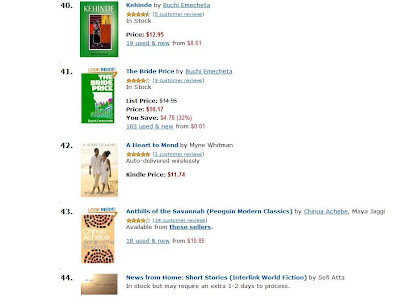 What makes me even happier that it is surrounded by other novels from my mentors, Buchi Emecheta, Chinua Achebe and Sefi Atta. How cool is that? Aww congrats Myne, im so happy for you.